President Donald Trump and Kim Jong Un signed an agreement on Tuesday that failed to implement meaningful action towards denuclearization, or promise any other concessions by North Korea. But Leonid Petrov, a Korean studies expert at the Australian National University, told Business Insider that the summit should be seen as a success in building trust and busting myths between the two countries. Trump also repeatedly praised Kim as being a “very good negotiator,” hinting at Kim’s tougher stance towards concessions than perhaps Trump expected. The agreement signed between President Donald Trump and North Korean leader Kim Jong Un comes up short of achieving meaningful action towards denuclearization, experts say. The Trump administration has made clear that complete, verifiable, and irreversible denuclearization (CVID) is its intended goal in having talks with North Korea, but Kim didn’t seem to make any promises towards achieving that goal. Despite Trump describing the language as “very strong” at a press conference afterwards, the agreement did not say North Korea will definitely denuclearize, it didn’t provide any sort of timeline, and the terms “verifiable” and “irreversible” were not included. Trump said North Korea promised to close additional missile testing sites in addition to the agreement on paper. But this was precisely the issue North Korea experts have been concerned about – that the gap between the two leaders was too large to be bridged within three months – and why many urged the Trump administration to hold more working-level talks before the two leaders met. 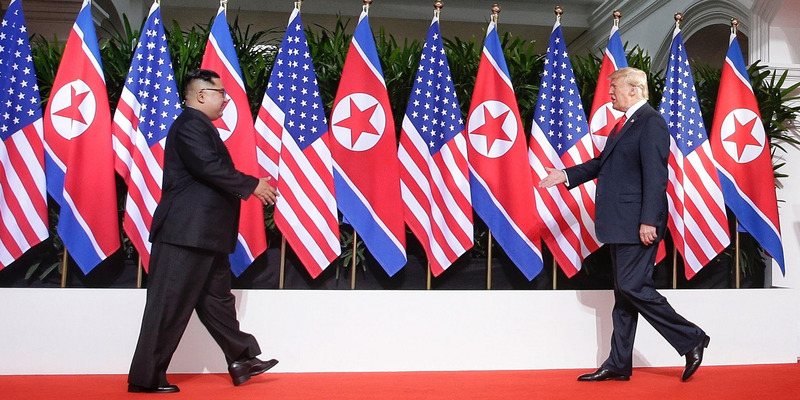 Considering the short amount of time, Leonid Petrov, a Korean studies expert at the Australian National University, told Business Insider, that as a trust-building and “myth-debunking” exercise the summit should be considered a success. “The meeting took place, the two leaders met, it was a friendly exchange, and both delegations spent time together… I think it was good that they completed some sort of communique, even though it was not very definitive at least it was positive,” Petrov said. “It was probably the maximum of what could be achieved given that the preparation was rather hasty, and given that at some stage the meeting was called off and then reconvened again. I think it was maximum of what we could expect,” he added.